At home in virtually any interior design setting, Woven Wood Shades act as the perfect natural accent to coastal styles, traditional homes, contemporary spaces, and everywhere in between. 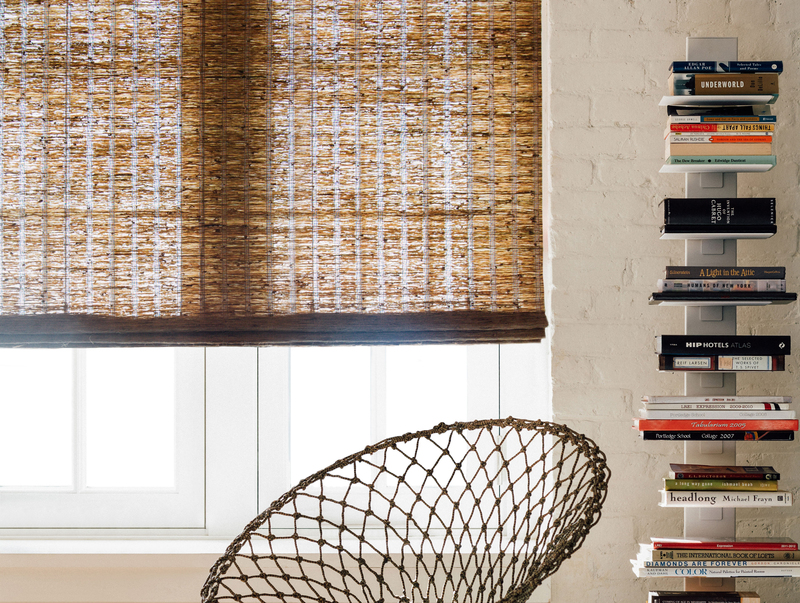 In this post, we’ll cover a few of our favorite uses of natural woven shades with help from Molly Graham Thompson of Molly Graham Design. I enjoy integrating woven shades into projects because they are an easy answer to create warmth in the space. 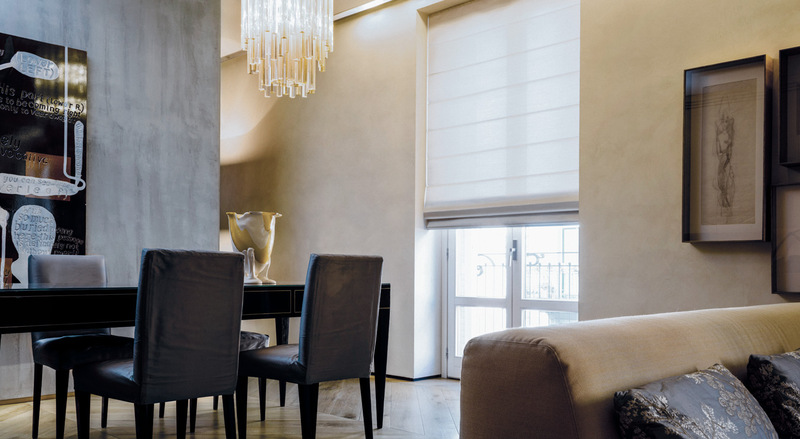 If there is a space that feels slightly stark or needs a minimal amount of softness added, the woven shades are an easy answer. They are also not necessarily defined to a certain ‘look.’ I think historically, people think of woven shades to be rather traditional in a setting. I have successfully installed them in modern and transitional spaces, as well. They are strong on their own but also a great buffer between a drape and a window, or an alternative to a sheer,” Molly explains. If you are already using natural textures elsewhere in your home, Woven Wood Shades can pick up on those colors and tie the room together. 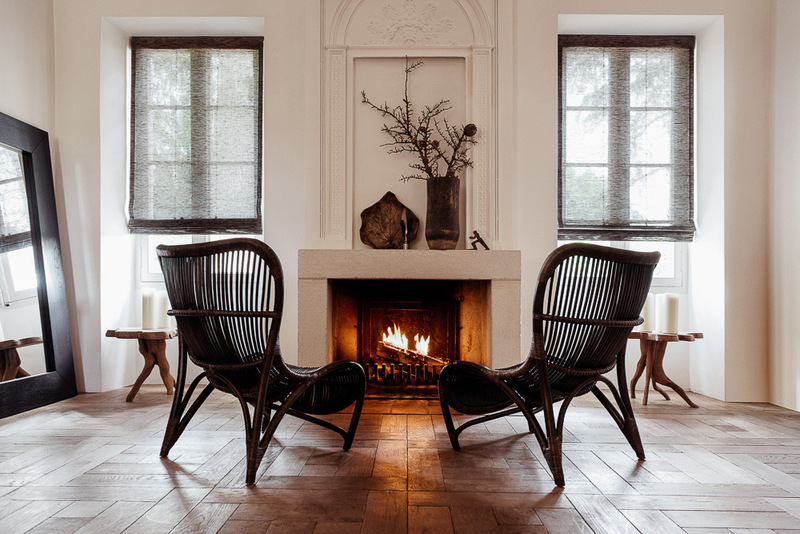 In the farmhouse living room pictured above, Waterfall Woven Wood Shades play off of the dark wood and exposed fibers in the chairs and dark wood mirror frame to create an inviting space centered around the fireplace. Our Grassweave material also complements the browns present in the hardwood floor. “Here, the space would feel very heavy without the shades because the chairs would overtake the space. The dark brown shades allow the space to be balanced. I think people would feel intimidated by using the dark shades in such a light space, but they are the perfect solution to balance the natural light,” says Molly. In a dining and living room featuring concrete and clean lines, Cascade Woven Wood Shades provide a touch of softness over the glass doors leading out to the patio. Our natural woven materials come in a mix of colors, from the expected browns and beiges to white, blue, black, and gray. This shade in Grassweave, color Snow accents the light walls and creates a subtle statement that lets the chandelier and artwork shine as the focal points of the room. Kids love great style, too! 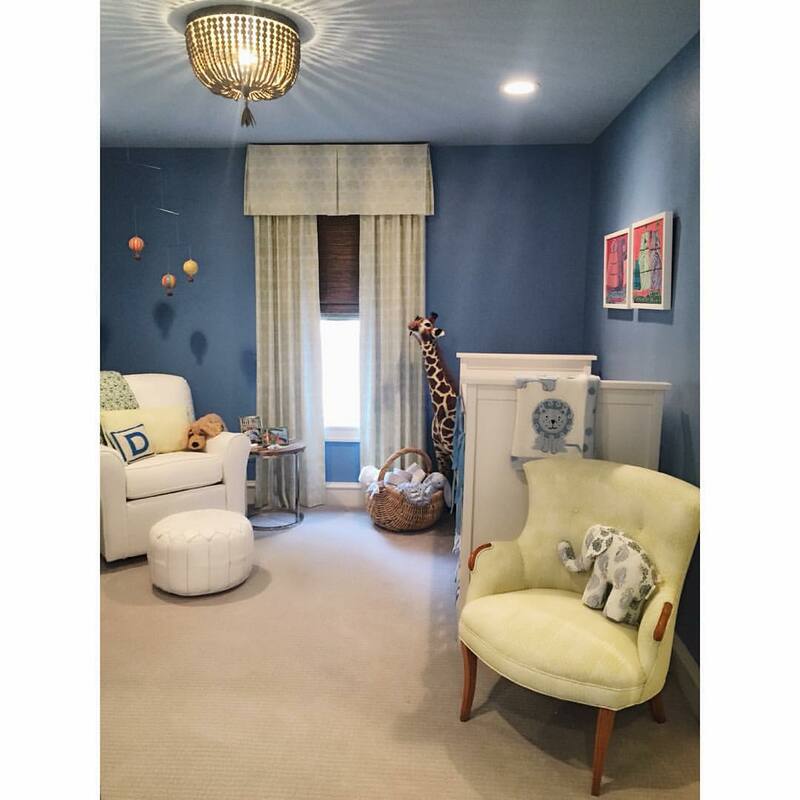 These natural shades chosen by Molly Graham supplement the animal safari theme with their organic texture. Crafted with a liner and layered under curtains, these shades also help create a soothing, dark environment to help baby sleep. Cordless Woven Wood Shades have been independently tested and certified “Best for Kids.” Because woven shades are a neutral, they can adapt to evolving tastes and styles, and stay fashionable through the many decor changes of a child’s bedroom. No matter your style, Woven Wood Shades can be incorporated into your home’s design. Talk to one of our Expert Design consultants in a showroom or via email to choose the style and material that’s right for you.